Day 1 in the big apple looked like this! a very comfy fit for the miles of walking we did. We started the day in Times Square followed by a stroll through Central Park which honestly had the most breathtaking views and out the other end to the Upper East Side (where I visited Blair Waldorf OBV) and ended the day doing some shopping at Bloomingdale's, Bergdof's and the 24 hour Apple store... It's safe to say I slept like a baby this night. A lot of you asked about my shoes on Instagram, the same shoes that I got stopped for a million times in New York - one guy told me that they were the best shoes he'd seen all day haha! 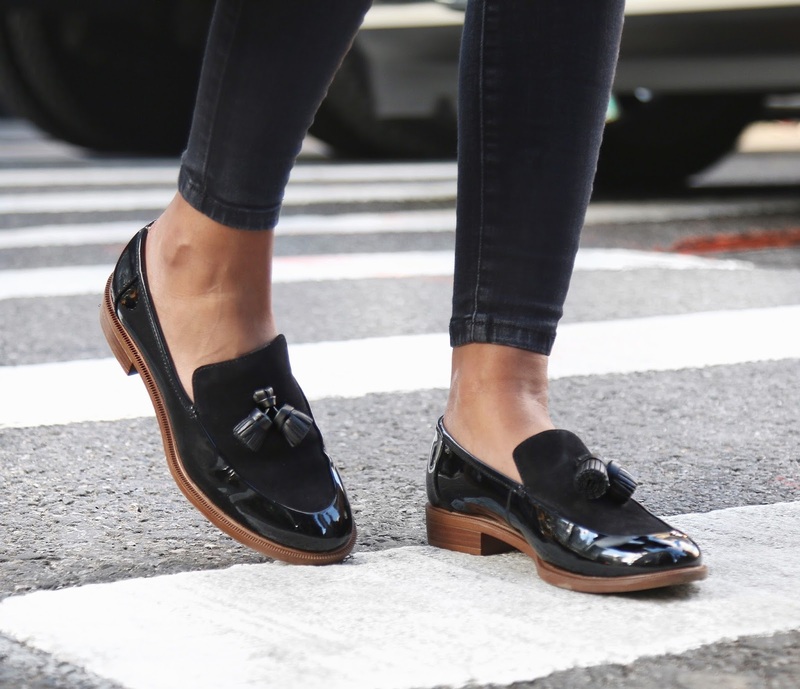 well, I got them from Cloggs and I just knew they would be perfect for these casual days, I am a new loafer lover!